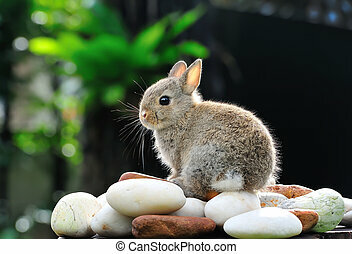 Adorable rabbit. 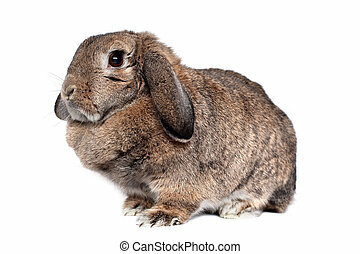 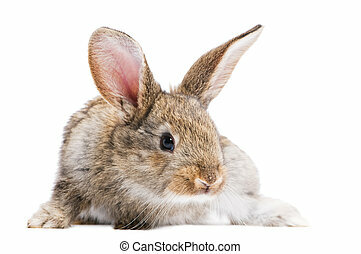 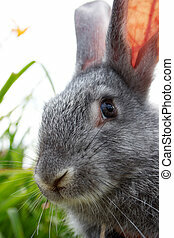 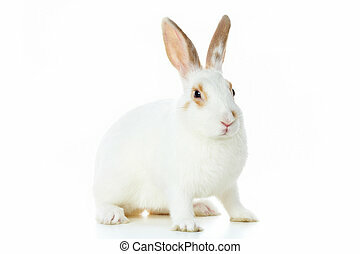 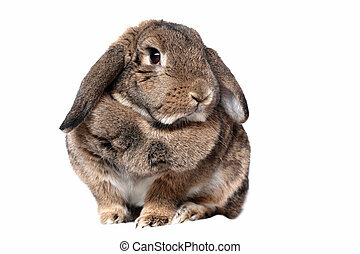 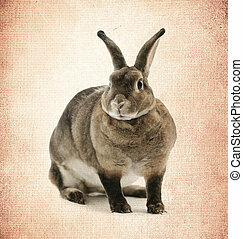 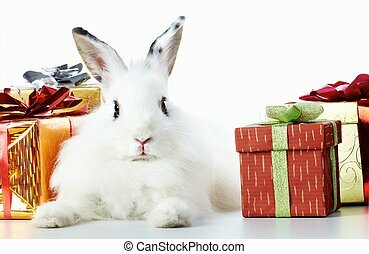 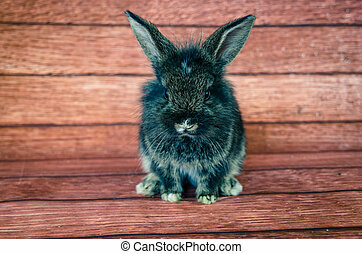 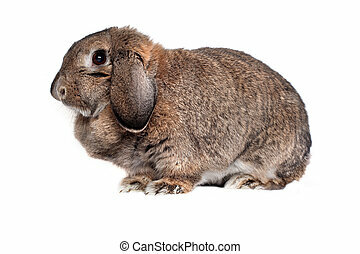 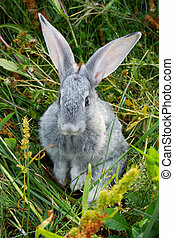 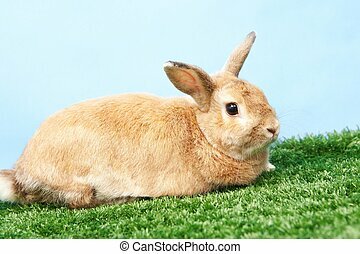 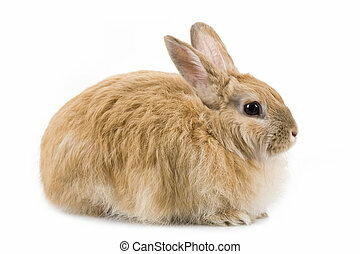 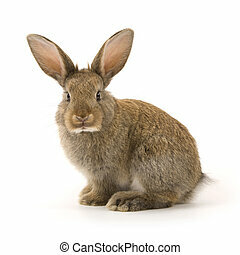 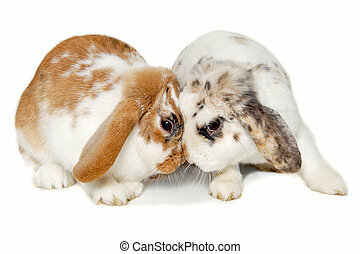 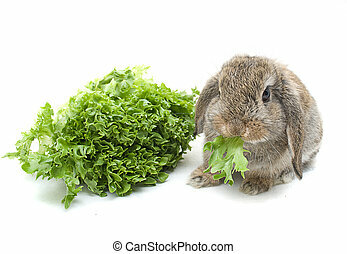 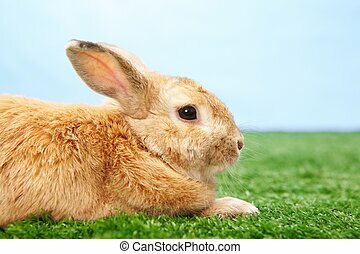 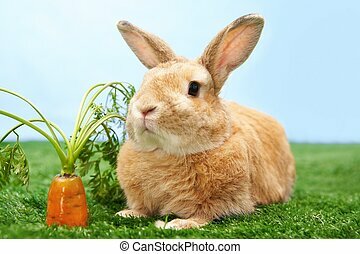 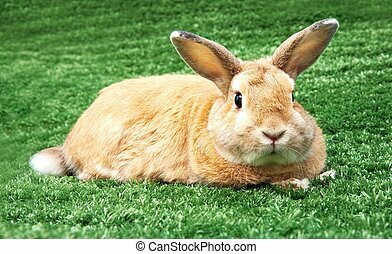 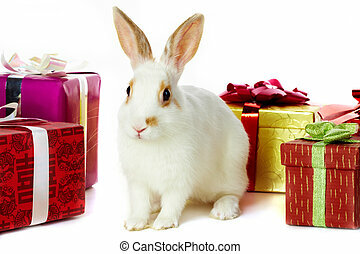 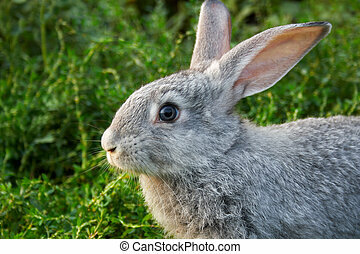 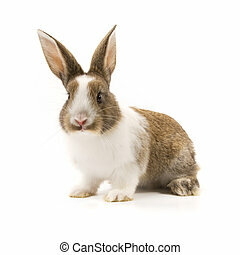 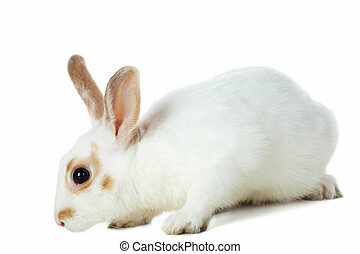 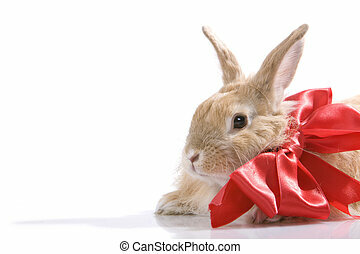 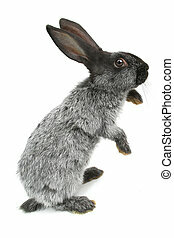 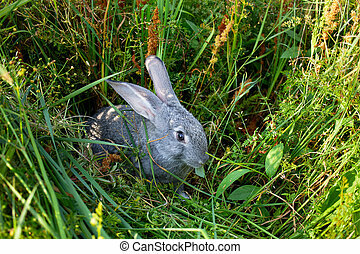 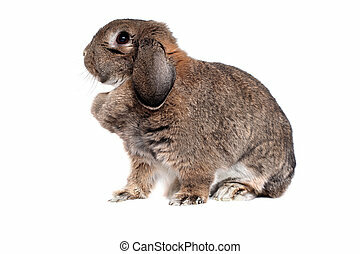 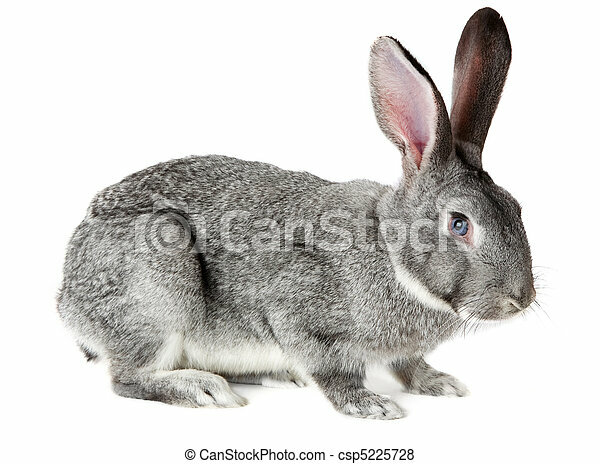 Image of cute grey rabbit isolated over white background. 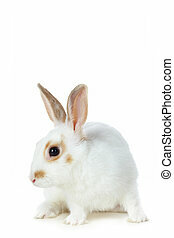 Little girl sits in an all white room hunting Easter Eggs. 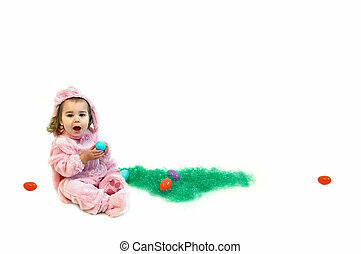 She is wearing a pink bunny costume and holding an egg.